Departing from Sorrento in the morning. The coach joins the Amalfi coastal road which is one of the most stunning coastal drives in Europe. The scenery is superb, looking out over the Mediterranean and along the coastline as the road twists and turns its way towards the town of Positano (approx. 20 minutes from Sorrento). The town is built on different levels from the main road all the way down to sea level, giving the image of a waterfall of buildings cascading down to the sea. As the coach can’t stop here guest can enjoy the views and take photos from the bus. This spectacular journey continues with fabulous views all the way to Amalfi (approximately 1 hour). Arrive in Amalfi around 10:00 am depending on traffic. 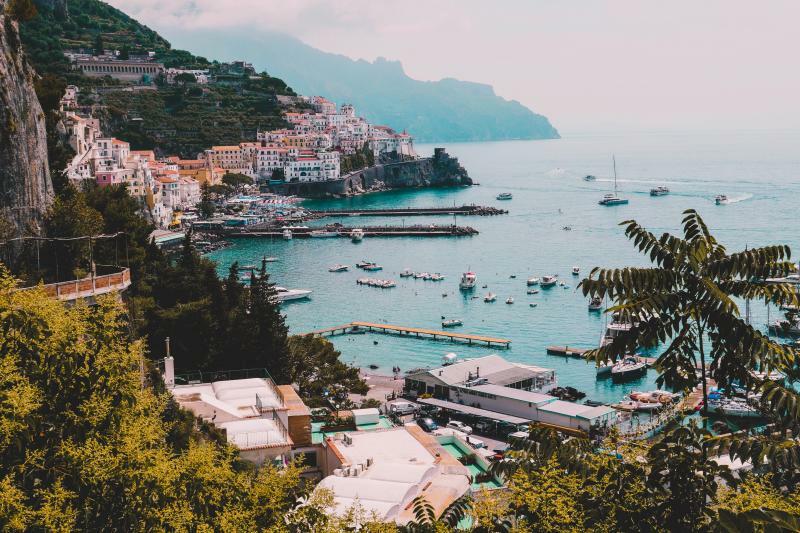 Guests have 2 hours free time in Amalfi where a guided boat trip along the coast may be possible dependant on availability and weather conditions. Customers can also visit the magnificent 9th-century Cathedral which proudly dominates the main square of Amalfi, wanders through the narrow streets of the town and browses the many shops or enjoy a coffee in one of the cafes around Amalfi. After a lunch stop, the excursion carries on to Ravello which is situated on the hillside above Amalfi. This is where Wagner was inspired to write part of one of his operas and it is from here that you can enjoy the best views of the Amalfi coastline looking over to Minori, Maiori and beyond. Return to resort approx. between 4:30 pm and 5:30 pm.